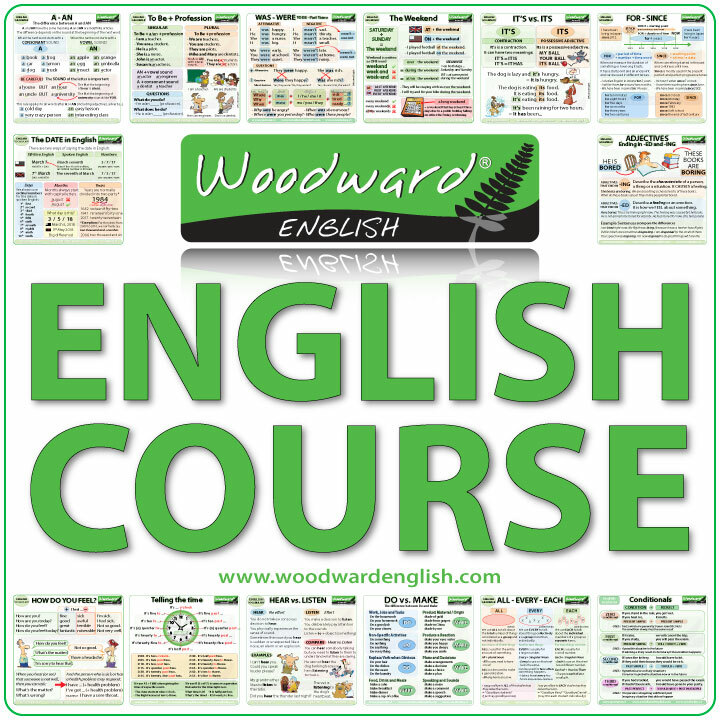 Here you can learn English every day with many articles about the English language. Everything from grammar rules, jokes, English idioms to short reading activities. We also have an entire section with ESL resources for English teachers. Remember, we have websites dedicated to English grammar and English vocabulary. You can follow us on social media where we have a Word of the Day on Twitter and you can also find Woodward English on Facebook. Every week we upload a new English video on YouTube. We have a MAJOR surprise coming up to help you learn English. We will start releasing a FREE online course to help you learn English. It includes video, notes, games and much more. Me encantaría ese curso gratuito en linea, espero me tengan en cuenta. saludos!